Share the post "These 17 Incredibly Rare Weather Phenomena Will Blow Your Mind"
These rainbows form in fog, rather than rain. The condensation reflects little light, and as a result, the rainbow is made up of very weak colors – like white – rather than the vibrant colors of a traditional rainbow. At the mouth of the Catatumbo River in Venezuela, a very unique mass of storm clouds swirls, creating the rare spectacle known as Catatumbo lightning. The storm occurs up to 160 nights a year, 10 hours per day and 280 times an hour. Moonbows are rainbows produced by light reflected off the surface of the moon, rather than the sun. Due to the small amount of light reflected off the moon, moonbows are quite faint. A glory is an optical phenomenon, similar to a rainbow, that resembles a halo. It occurs when light near rain droplets tunnels through air inside the droplets and emit the light backwards. Yes, that’s as crazy as it sounds. Foaming occurs when high levels of algae and waste enter water. These components act like shampoo and reduce the surface tension, creating bubbles and foam. These colourful shapes are the result of electrical discharges in the atmosphere. Waterspouts are vortexes, which occur over a body of water. No water is sucked in and the sprout is made entirely from water given off by condensation. Fire whirls are whirlwinds of flame. They occur when intense heat and turbulent wind conditions combine. Morning Glory clouds are incredibly rare, so much so, that we don’t know what causes them. They’re most commonly seen at fall in the small town of Burketown in Australia. Lenticular clouds are lens-shaped clouds that form when moist air flows over a mountain and piles into large and layered clouds. Due to their strange shape, these clouds are often mistaken for UFOs. Penitentes are tall, thin blades of hardened snow and ice that form at high altitudes. At such a height, the sun’s rays are able to turn ice into water vapor without melting it first. Some areas randomly turn into vapor more quickly than others, forming depressions in the smooth surface. Over time, they transform into jagged fields which face the same direction as the sun. 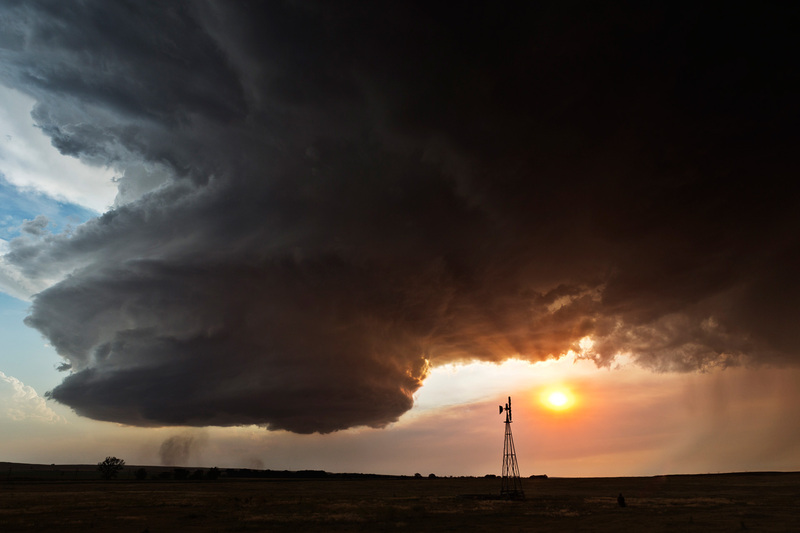 Supercells are the rarest and most dangerous type of storms. While they are formed just like other storms, the vertical rotation of their updraft means that they can sustain themselves for far longer than the average storm. Frost flowers are formed when sap in the stem of plants freezes and expands, cracking the stem. Water then draws through the cracks and freezes upon contact with the air, eventually forming exquisite patterns. 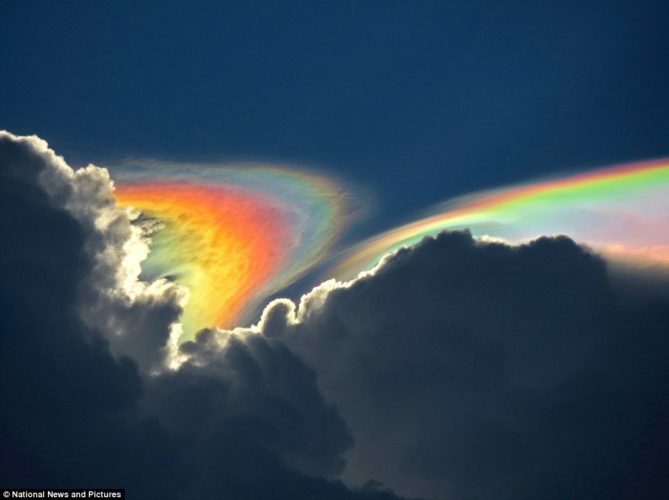 Fire Rainbows are formed by light reflecting from ice crystals in high level clouds. The halos are so large, they often appear parallel to the horizon. Sun dogs are an atmospheric phenomenon that happen when ice crystals cause light to appear brighter when the sun is at a certain angle. Mammatus clouds are cloud pouches that form and hang underneath the base of a cloud. They form when air and clouds holding different levels of moisture mix, with the heavier one sinking below the lighter. Snow donuts are formed when chunks of snow are blown along the ground by wind, picking up material along the way. The inner layers are weak and can easily blow away, leaving a donut. The Belt of Venus is a pink glowing arch seen across the sky when the shadow of the Earth’s translucent atmosphere casts a shadow back upon itself. 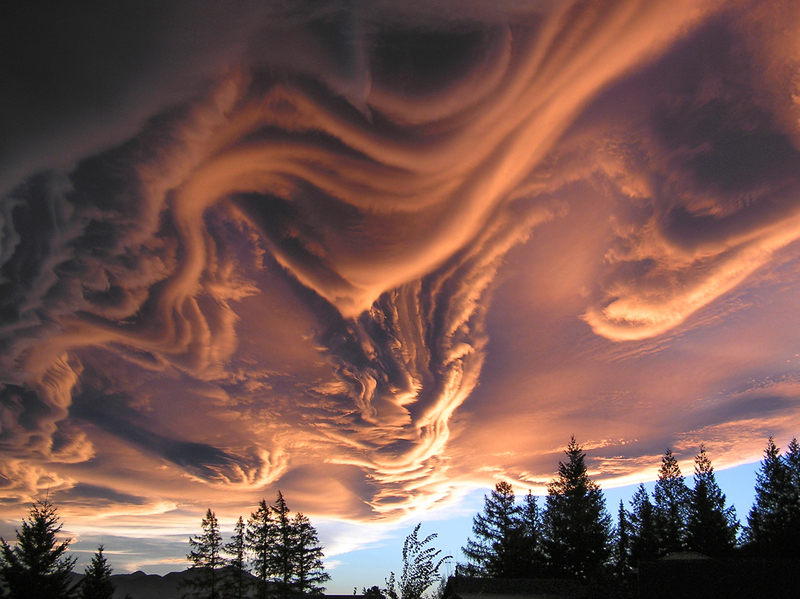 Asperatus Clouds were only classified in 2009. As a result, we know little about them other than the fact that they look amazing. These strange events just go to show that there are so many mysteries in this world, just waiting to be discovered. « 27 Secrets About Girls That Guys Probably Don’t Know About. #3 Will Surprise You! » What A Dying Fawn Taught A Family Is Priceless. Nobody Could Have Ever Expected THIS To Happen.